While I am a coffee drinker, I also like tea. Mostly black. I prefer Asian blends to plain English breakfast, Assam tea is good. Oolong on occasion. Earl Grey to fulfill a particular mood. I'll do herbal teas sometimes, especially licorice, and find red/rooibos teas to be a nice change of pace. Not big on mint and anything "fruity" is an abomination. I'm not quite to the Lemony Snicket, "Tea should be as bitter as wormwood and as sharp as a two edged sword," point yet, but I'm getting there. I don't take sugar, though I'll add honey if I have a sore throat. That said, specialty teas are a bit of luxury (my favorites come from Stash because they are based out of Oregon, hard to get in Florida, and make me feel at home), and I often use them as an answer when someone asks me what I want for Christmas. Maybe with a cat on the outside. I do like cats and tea. Now and then my tea wish will be honored and my relatives will present me with tea. About 50% of the time, though, it is the wrong tea! I think there is an assumption among non-tea drinkers that if tea is good then tea plus blueberry+apricot+apple pie must be better. This is especially bad if someone gifts me an assortment . Assortments are a good idea in theory, but in practice, an assortment usually equals three or four good teas and a landslide of nasty tea-Frankenstein-monsters. Green tea mint mojito? Caramel truffle black tea? Cinnamon apple chamomile? Even if it is "good" blends made with like actual fruit instead of some lab produced concoction of God only knows what, by the time you get past all the additives, you can barely taste the poor, overwhelmed tea! Because I like TEA. Tea that tastes like tea. This is one reason it is important to take genre into consideration when you are getting peer input. It can be a very good practice to read outside of your genre and a lot of authors can give well rounded advice across multiple genres. However, if you dislike a genre or have never read it, there is a "but I don't like tea" thing that clicks in. You know, like some people say they like coffee, but only decaffeinated with an extreme amount of flavoring, sugar, and milk added . . . coffee without the coffee? I like fantasy IF it doesn't have too much world building. I like romance IF it isn't completely focused on the guy/girl dynamic. I like horror IF it isn't too scary. And yes there is a place for cross genre pieces and different degrees of genre. 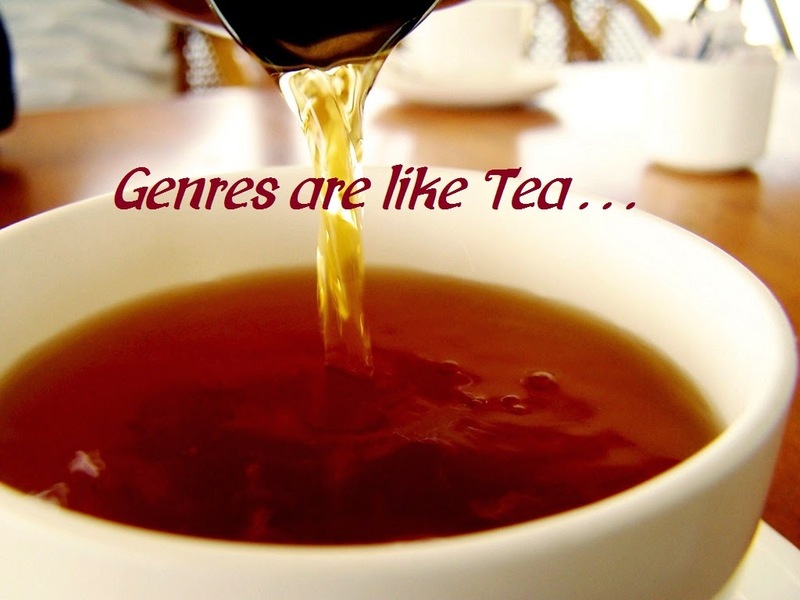 Genres are big, wide, open playing fields . . .no! They're like pools. You have the shallow end and the deep end and people who may enjoy wading in light fantasy may be uncomfortable going off the high dive into massive fantasy epics. However, if you start getting input on your strong, dark earthy oolong tea and someone comes along suggesting cream and sugar . . .or God forbid, blueberry . . . it is okay to ask them, "Do you even like tea?"